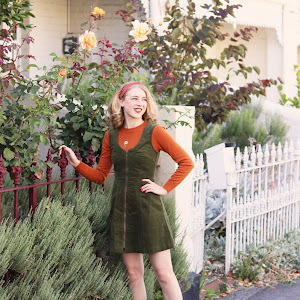 GracefullyVintage: The first day of autumn and a shirt to match! The wind and rain is crazy today! I had to take my umbrella down! It's the first day of March and therefore the first day of Autumn here in Australia! I bought my 1960s shirt about a month ago and have been waiting to wear it (I like to team with the theme). My mum and I made the skirt a couple of months ago using a Vogue pattern. Today Max and I went out for brunch and both ordered the deluxe Turkish bread breakfast sandwich with egg, bacon, cheese and a hash brown. It was perfect for the rainy-cold weather. We then had a little walk around the waterfront wharfs and enjoyed the fresh air... And I dumped my coat and cardigan to show you all my shirt... All in the name of blogging! It was a nice little date despite the crazy change in weather. I just received a gorgeous vintage dress in the mail, some vintage back-seam nylons and a couple of vintage purses... All to come in another post! 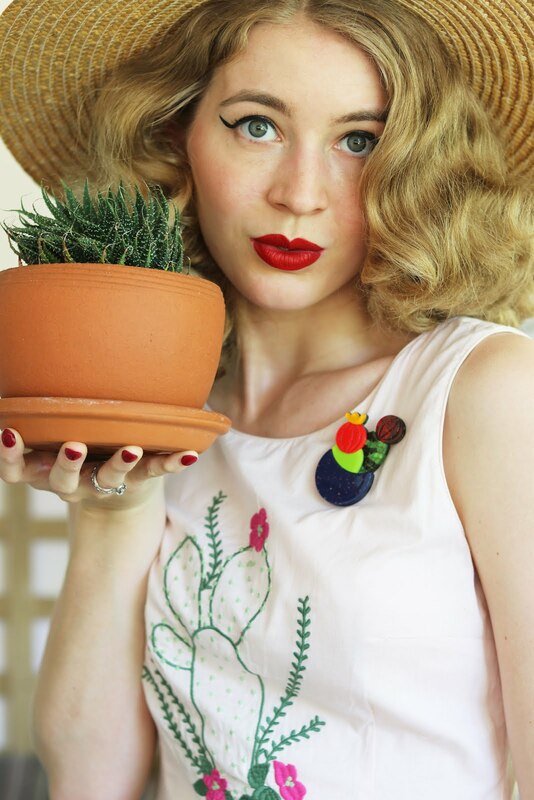 I'm also a part of a recent blogpost by Leah from 1940sThrowback! The post is all about red lipstick and what we are currently using - look out for me! Click here to see the blog post. Now I am going to curl up on the couch, drink my favourite rosehip tea and watch a movie or two! I have dis-liked all this wind and rain in Sydney today. I have just come back from wintery London so was hoping for summer to last a little longer! I bet that fantastic blouse made the transition easier though!! Fall is - bar none - my absolute favourite time of the year, and I just love dressing for it, too. That blouse is fantastic! I completely wish I had one just like it, too. You look terrific, sweet dear, this whole outfit is so charming and fun.